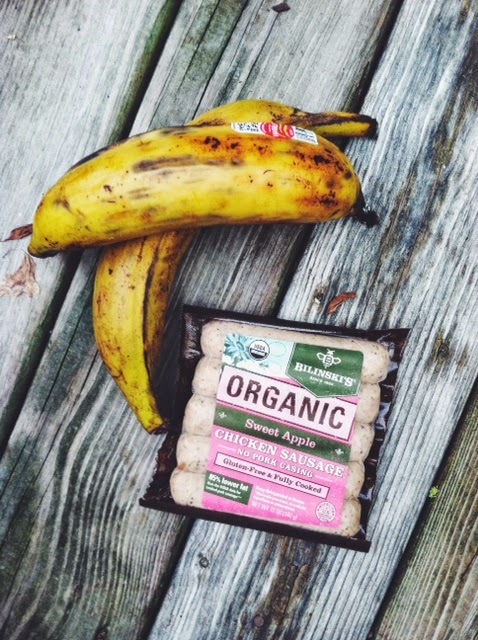 I went to Harris Teeter last night, and picked up a few packs of the Bilinski's Sweet Apple Chicken Sausage! For dinner tonight, I am going to make their sausage with some fried plantains! They offer so many recipes on their website, which I will be trying next. If you live a Paleo, and Gluten Free lifestyle these would be a perfect addition to your meals! These are even Whole30 approved!! Below you will find some great info on their organic chicken sausages that I pulled from their website: http://www.bilinski.com/. Contain a gourmet blend of organic ingredients such as: vegetables, herbs, and spices that have been grown without herbicides or pesticides and are traceable to the farm where they were grown. Casing-Free – no pork casing! Cannot wait to make more meals! Yum! I didn't realize that these were Whole30 approved - I think I've only seen the Apple Chardonnay ones in my local stores and those are obviously not Whole30! But I've been looking for a good pre-prepared sausage for easy breakfasts, so I'll be on the lookout for this flavor! Why isn't the Apple Chardonnay approved? I googled Chardonnay and it's a type of grape. I just bought this because I thought it was.